Langdon is a bold compressed sans typeface, in uppercase characters only, commissioned as a free download for it’s customers by XLN Telecom. I’ve wanted to create my own version of this kind of typeface for a while, and this project gave me the opportunity to do just that. 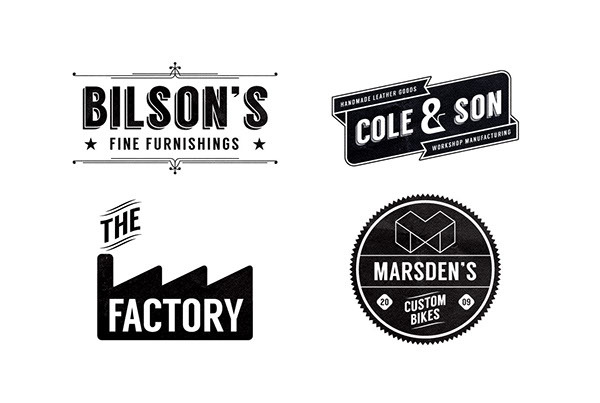 Strong, industrial, and clean, Langdon is great for headlines and branding. The solid version is accessed by typing with the uppercase keys, while the alternative shadowed version is accessed with the lowercase, ready to be outlined and filled with halftones, colours or patterns. The punctuation is characterised by high stress in the line widths, using extreme thicks and thins to add a modern twist to it’s no-nonsense look. 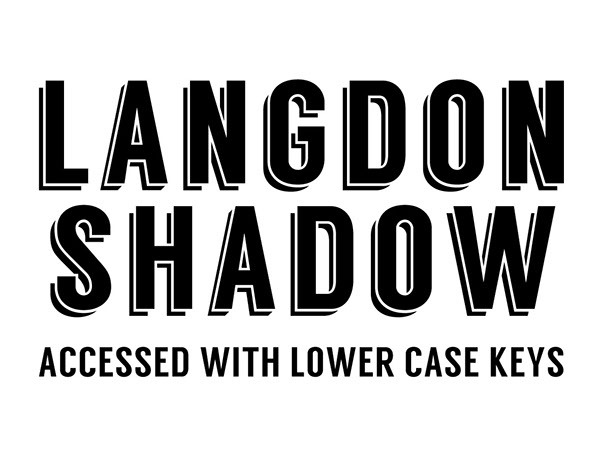 Langdon is free to download here. Langdon is a bold compressed sans typeface, in uppercase characters only, commissioned as a free download for it’s customers by XLN Telecom. I’ve wanted to create my own version of this kind of typeface for a while, and this project gave me the opportunity to do just that. 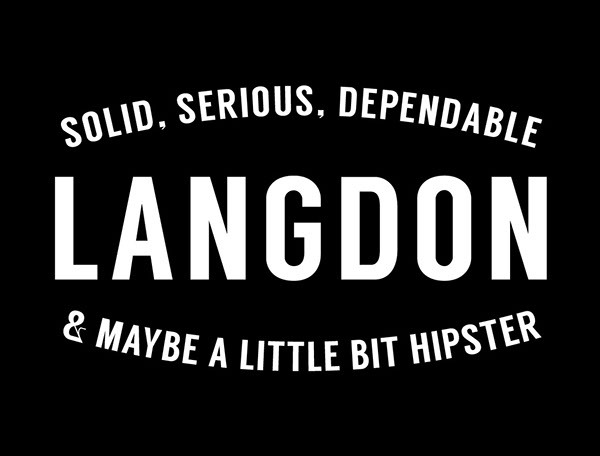 Strong, industrial, and clean, Langdon is great for headlines and branding. The solid version is accessed by typing with the uppercase keys, while the alternative shadowed version is accessed with the lowercase, ready to be outlined and filled with halftones, colours or patterns. 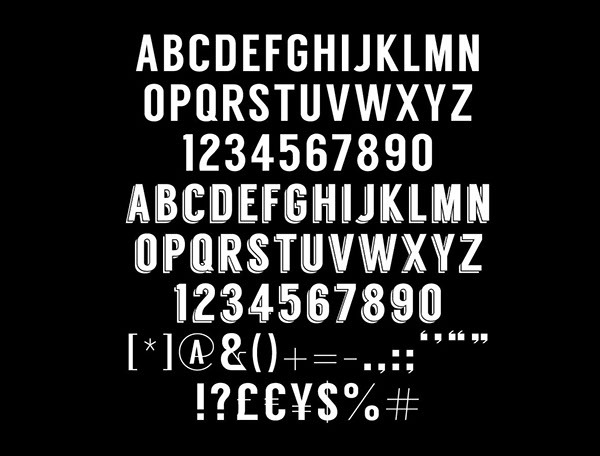 The punctuation is characterised by high stress in the line widths, using extreme thicks and thins to add a modern twist to it’s no-nonsense look.